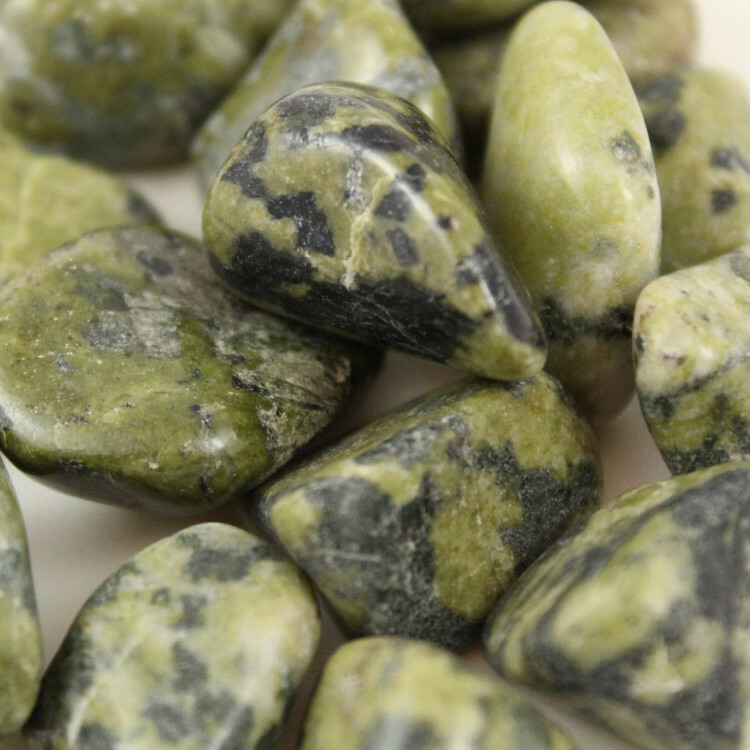 Small pieces of tumbled green Serpentine, measuring 20-30MM approximately. 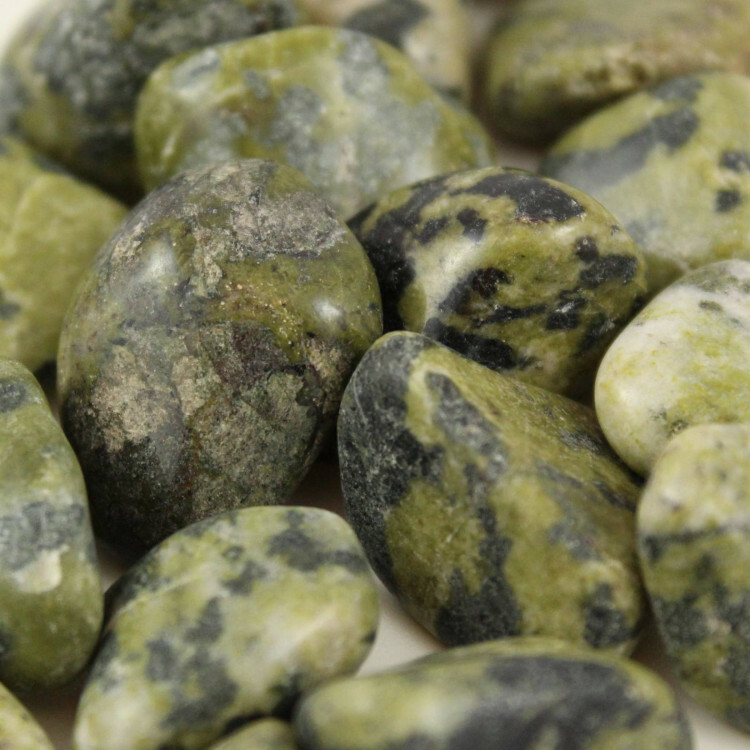 Serpentine Tumblestones, measuring around 20-30MM approximately. 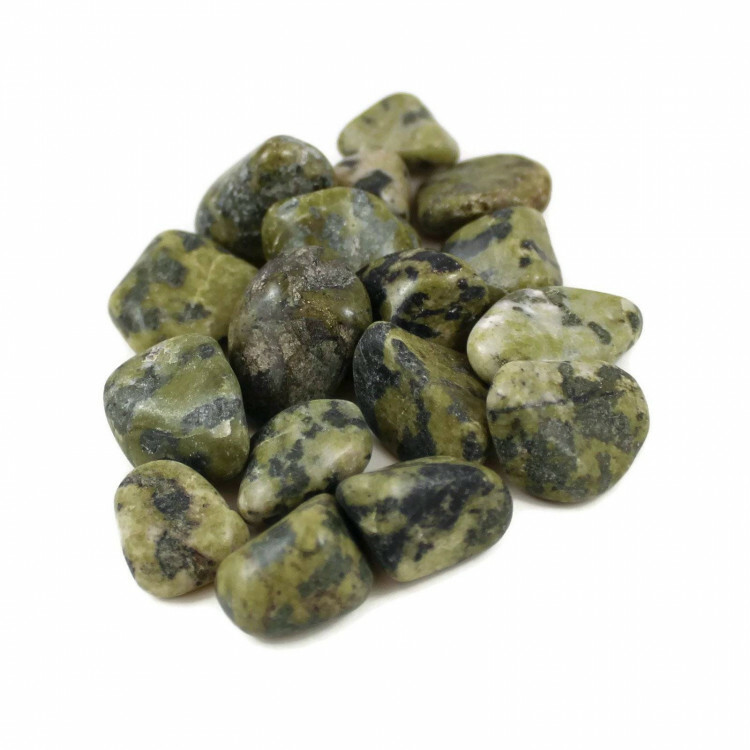 These stones make a nice decorative stone in a vase or a small bowl. Because of their lovely green shade, they can make an interesting contrast with simple white tumblestones, or even some clear ones. Our stock of these stones is currently quite sporadic. Typically we get mixed sizes, from 15-35MM approximately.